When you recognize an overdose and take action, you can save a life! CALL 911 immediately if you suspect an overdose! Powerful drugs like fentanyl and carfentanil are being added to other illegal drugs or as a substitute for these drugs. Drug users and bystanders often do not know what is in the drugs being used. These powerful substances can cause overdose death much faster than heroin or other opioids, so call 911 immediately if it might be an overdose. 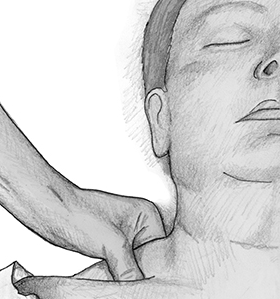 It can be hard to tell if someone is having an overdose or is passed out. If a person is making strange sounds (ex. gurgling, choking, loud snoring) while “sleeping,” try waking them up. If the person doesn’t respond, call 911 immediately. Many people who have witnessed an overdose say that they thought the person was just asleep. Remember, a person who overdoses on other drugs or multiple drugs at the same time may not have the symptoms listed above. When in doubt, call 911 to get medical help! Give naloxone if you have it. 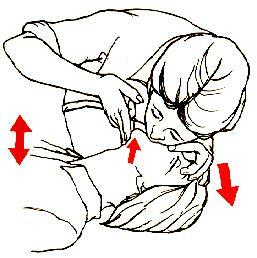 Use rescue breathing if the person is not breathing. Put the person in the recovery position. Wait with the person to make sure they get help. Sometimes, family and friends who witness a drug overdose do not want to call 911 because they are afraid they will be arrested for drug use or drug possession. In Pennsylvania, the law protects a person who calls 911 for an overdose from charges and prosecution for certain drug crimes. To be protected under the law, the caller must give their name, stay with the person who overdosed until help arrives, and cooperate with law enforcement. The person who overdosed is also protected under the law if the caller is protected under the law. A person who is in possession of drugs with intent to sell or distribute is NOT protected under the law. Learn more about the law here.